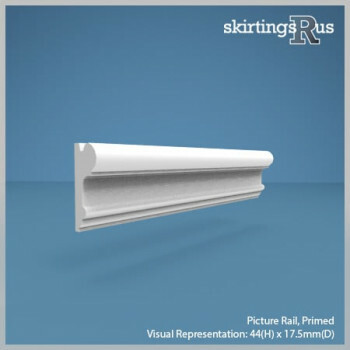 Dado and picture rails are usually associated with period properties, which normally feature the extensive use of mouldings. However, with colours being used in a lot more unique ways than back then, the new modern function of dado and picture rails is to provide a clear border between different colours on a wall. These products can be very effective in both modern and period interiors. Dado and picture rails are a natural choice if your design scheme features two to three colours running in unison around a room. In these situations each rail acts a clearly defined boundary for each section of colour as the eye scans a wall. 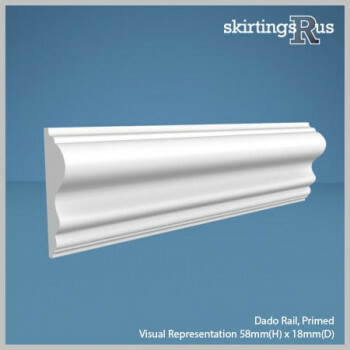 Dado rails are also extensively used to mark where interior panelling ends and wall starts. The dado rail in this situation also adds a decorative element to the edge of the panelling instead of an abrupt finish.